Time: Saturday 08-23-2014 at 10:03 AM. On Saturday 08-23-2014 at 10:03 AM, Lapeer Township Police Officers and Lapeer County Sheriff’s Deputies responded to the intersection of Turill and Clark Roads in Lapeer (Lapeer Township) for an injury traffic crash. Jeanette Rumptz was driving a Subaru Outback eastbound on Turrill Road. Rumptz stopped for the stop sign and entered the intersection while performing a left turn to travel NB on Clark Road. Rumptz entered the travel path of a specialized novelty vehicle used in parades (truck converted to the appearance of a steam train) traveling southbound on Clark Road. This novelty vehicle was traveling to Metamora for the Metamora Country Days Parade (not involved in the parade when collision occurred). The vehicle is unit powered by a motor (not pulling a trailer) and had an unenclosed area in the back that consisted of wood benches (no safety restraints) for passengers. The collision is considered broadsided. Rumptz was pronounced deceased at the scene. Lapeer City Fire and Rescue performed extrication. There were ten people that sustained injuries traveling within the novelty vehicle driven by Gerald Butterfield age 83 from Columbiaville. Seven people were ejected from the unenclosed area in the back of the vehicle. The passengers were transported to McLaren- Lapeer Region Medical Center in Lapeer and Hurley Medical Center in Flint. Two adult occupants sustained life threatening injuries (ejected from the vehicle) and are in serious condition . There were two children ages 8 and 9 that were treated and released for non-life threatening injuries. Lapeer Township Police and Lapeer County Sheriff’s Deputies were assisted at the scene by City of Lapeer Police Department and Lapeer City Fire and Rescue. The intersection was closed for approximately three hours for rescue and investigative purposes. Neither alcohol nor excessive speed appears to be contributing factors. This crash remains under investigation by the Lapeer Township Police Department and Lapeer County Sheriff’s Office. Anyone who witnessed or has information is urged to contact Lapeer County Sheriff’s Detective Sgt. Jason Parks at 810-245-1381. Numerous people remain hospitalized at McLaren- Lapeer Region and Hurley Medical Center in Flint as a result of this traffic crash. 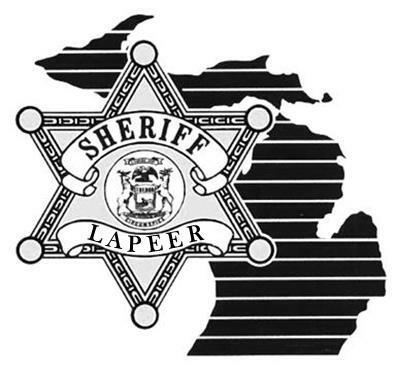 Second Fatality- Janet Lough age 76 from Lapeer died on Tuesday 08-26-2014 during the afternoon hours at McLaren- Lapeer Region. Lough was a passenger on the novelty vehicle steam train and ejected during the collision.